Not surprised at all about Jordan Graham being a good player. What is surprising is that we have him here, Playing without the injury problems that have plagued his career. Good timing on our part. The ball seems to be stuck to his foot at times as he dribbles past players. Let’s all enjoy watching him while we can, because we may struggle to get him signed if he continues like this. The thing that works in our favour is that I believe Oxford and JG are a good fit and he knows this. He has had loan moves that have been terrible and he knows this move is make or break. I fully expect him to sign for us in the summer as he has even gone to the lengths of buying a house in Oxfordshire. Not many players do that when it’s a short term loan. Any idea what colour he’s thinking of painting the kitchen? I suggest he tile it instead. I bet he is looking forward to playing against Ipswich next season and showing Paul Lambert how good he is. 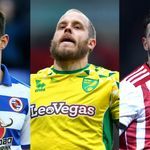 There must be a reason why PL has got rid of Graham from Aston Villa, Wolves and Ipswich. He doesn't seem the disruptive type of player, perhaps Lambert just doesn't like a skilful player. Supposedly they don't see eye to eye after some sort of disagreement at Villa. JG is the first player we've had since Maguire who, when he gets the ball (and his close control from difficult passes is excellent), you feel he has a higher chance of beating the defender than not. Great to watch. Yeah I support a team which has been in League 2, National and League One for almost my entire life because I love the glory Muppet. 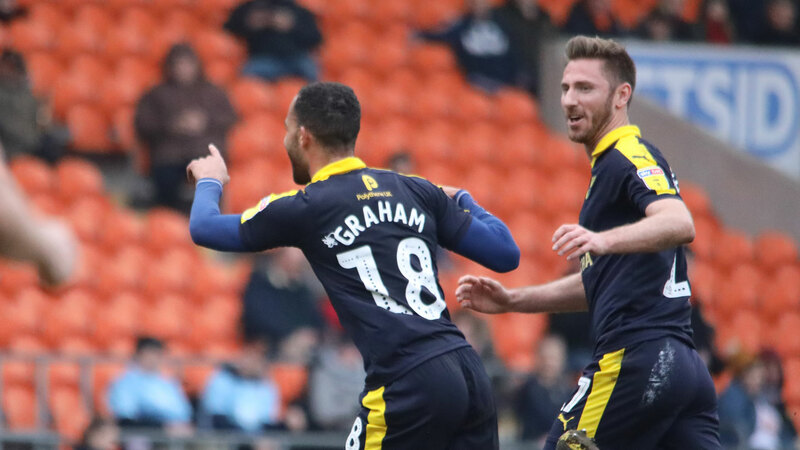 Jordan Graham's superb free kick at Blackpool has won the Sky Bet League 1 goal of the Month for February. Just voted using the link above from Abbey Ox, took all of about ten seconds to do it, just click on the player's name in the bar. Jordan is currently ahead with 51% of the vote against 27% and 22% for the others. Get voting people. Who knows it could be a little building block in persuading Jordan that his future is with us. Mowatt's goal was helped by the goalie not moving (presumably blinded by the sun). I think Graham's goal was the best of those three.